Ever since her first experiences as an undergraduate Science student at UON, Dr Jessie Sutherland remembers being inspired by reproductive biology. Jessie’s academic career started when she came across a summer scholarship program supervised by Conjoint-Professor Eileen McLaughlin, who has been her mentor ever since. Jessie’s early experiences with UON’s Reproductive Science lecturers have inspired her attitudes and teaching practice today. “Teaching is one of my favourite things." “It’s one of the most rewarding and positive experiences that you will have in academia, where you are often dealt harsh criticism in the form of grant rebuttals, peer review and article rejection." “I’m very passionate about the subject material and I think that really comes across to the students. It’s beautiful to have them engaged and asking questions." Indeed, Jessie is continually improving her teaching and leadership skills through her participation in the Advanced Leadership Program. The mentoring program is designed for women working in the higher education sector and Jessie was able to apply for a place with her HMRI Equal Futures grant which she won this year. Jessie is also working to develop a new Pregnancy and Development course, focussing on online content which will enable more students to undertake studies, as part of the new program structure of UON’s Biomedical Science degree. 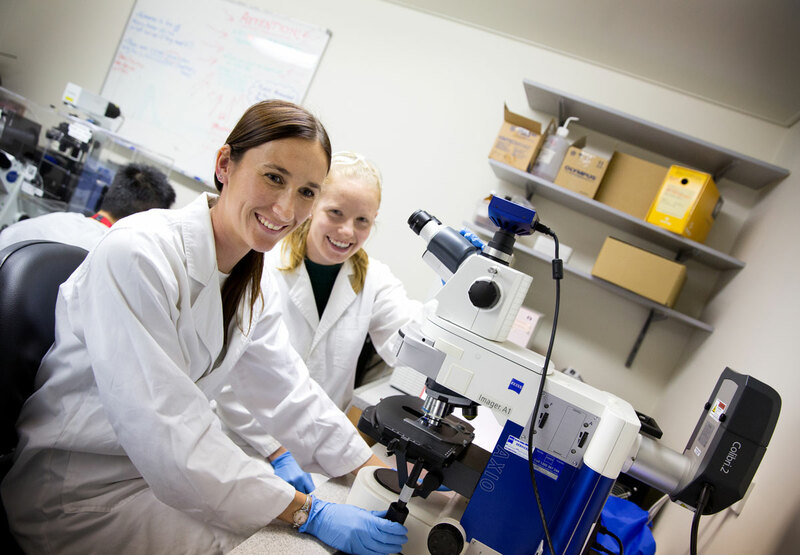 As well as her passion for teaching, Jessie has had great success in her research career, which has focused on the JAK/STAT molecular pathway in ovarian development. She has also spent time investigating the role of Musashi proteins in spermatogenesis, the process by which spermatozoa are developed. Spermatogenesis is dependent on the maintenance of a population of stem cells, known as spermatogonia. Stem cells are distinctive in that they have the potential to divide and give rise to daughter cells with specific characteristics; in this instance - spermatozoa. Spermatogonia go through long periods of relative ‘genetic silence’. Whereas many cell types are more or less constantly reading their DNA and producing proteins, there are huge swaths of genetic material in the spermatogonia which are left untouched for long periods of time. This is important for the proper development of the male germ cells. Amongst the many factors which control this silence are the Musashi RNA binding proteins. Throughout Jessie’s PhD, she examined the regulation of these binding proteins, and the exact roles they play in germ cell development. Jessie also researches female fertility. In particular, she is interested in ovarian development and premature ovarian failure. Jessie is looking forward to returning to this area of research as part of her recent successful NHMRC Early Career Fellowship application. “I’m so happy that this project got up – it’s sort of a pet project that I’ve been dipping in and out of since Honours. “We hadn’t really been able to fully explore it to the extent I’d like to – but last year I was fortunate enough to get a small project grant from the HMRI Bob and Terry Kennedy Children’s Research Program. We were able to generate some pilot data from that and I think that was what really pushed me over the line for the NHMRC funding. During the HMRI funded project, Jessie and her team honed in on the specifics of the JAK/STAT molecular pathway during ovarian development. The newly funded NHMRC project will allow them to study global changes which occur at this time. Premature ovarian failure can be actually be triggered very early during the development of female reproductive organs. Outside of the lab and the lecture theaters of UON, Jessie is also an enthusiastic science communicator, and enjoys engaging with the public and talking about her research. In particular, she is keen to educate women about their fertility, as messages perpetuated by popular culture can often be misleading. “The biggest factor (in female fertility) is age. The limiting factor is the number of eggs you have in your ovaries – and that is indiscriminate of how healthy you are. Jessie has focussed on the JAK/STAT molecular pathway in ovarian development. I am extremely passionate about scientific research with my particular focus in the field of reproductive biology, infertility and disease. Having both worked and studied within the HMRI Pregnancy and Reproductive Program and the PRC in Reproductive Science since 2009 I have a strong background in reproduction, evolving from my involvement in multiple research projects in the areas of; ovarian and testis biology, reproductive toxicology, sexual health, infertility, reproductive cancer, and developmental biology. While my broader research knowledge extends to; gene regulation, cell biology, cell signalling pathways, molecular characterisation, proteomics, and transgenic animal models. I am particularly focused on facilitating the translation of my basic research program into outcomes that directly impact the health and well-being of the wider community. As an ongoing member of the Australian Society of Reproduction I also am part of a strong network of scientific professionals spanning multiple universities in Australia and internationally. Currently I am working on a number projects that focus on understanding the underlying factors that lead to development of infertility and diseases of the reproductive system. I am specifically interested in determining the factors responsible for premature ovarian failure and the onset of early menopause in young women. I obtained my PhD from the University of Newcastle (2015) for exploring the essential role of the Musashi family of RNA binding proteins in controlling mammalian spermatogenesis and fertility. Prior to undertaking my PhD I worked as a Research Assistant within the PRC for Reproductive Science. My Honours project (2010) focused on exploring the molecular mechanisms surrounding the JAK/STAT/SOCS cytokine signally pathway in ovarian development, particularly during primordial follicle activation. I lecture into the undergraduate Biomedical Science and Biology Programs and Pharmacy. I am always looking to attract talented students considering a career path in research to meet/join my team and I have a number of Honours and RHD projects advertised through both the School of Biomedical Sciences & Pharmacy and The School of Environmental & Life Sciences. I'm more than happy to meet up with any interested students to discuss our ongoing projects in detail. In order to maintain their unlimited capacity to divide, stem cells require controlled temporal and spatial protein expression. The Musashi family of RNA-binding proteins have been shown to exhibit this necessary translational control through both repression and activation in order to regulate multiple stem cell populations. This chapter looks in depth at the initial discovery and characterisation of Musashi in the model organism Drosophila, and its subsequent emergence as a master regulator in a number of stem cell populations. Furthermore the unique roles for mammalian Musashi-1 and Musashi-2 in different stem cell types are correlated with the perceived diagnostic power of Musashi expression in specific stem cell derived oncologies. 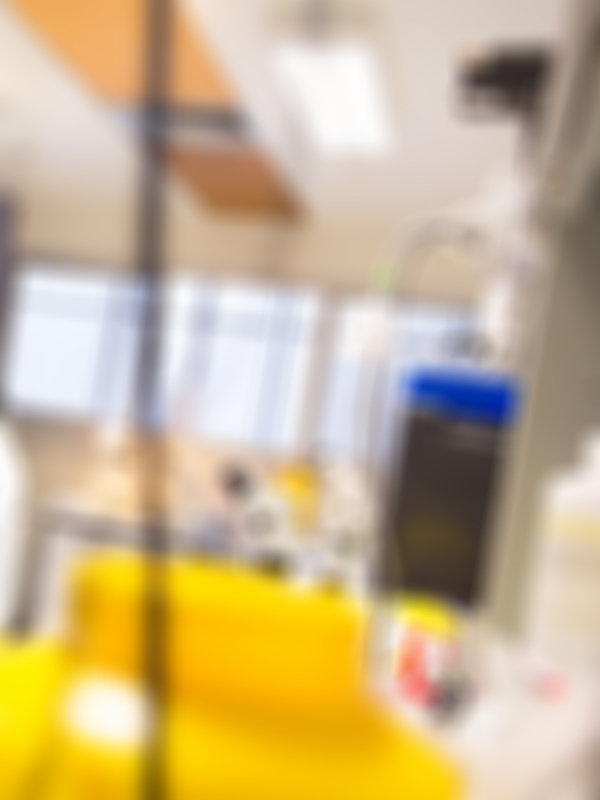 In particular the potential role for Musashi in the identification and treatment of human cancer is considered, with a focus on the role of Musashi-2 in leukaemia. Finally, the manipulation of Musashi expression is proposed as a potential avenue towards the targeted treatment of specific aggressive stem cell cancers. © 2013 Springer Science+Business Media Dordrecht. © CSIRO 2018. The mare ovary is unique in its anatomical structure; however, the signalling pathways responsible for physiological processes, such as follicular activation, remain uncharacterised. This provided us with the impetus to explore whether signalling molecules from important folliculogenesis pathways, phosphoinositide 3-kinase/protein kinase B (PI3K/AKT) and Janus kinase/signal transducer and activator of transcription (JAK/STAT), are conserved in the mare ovary. Messenger RNA expression of six genes important in follicle development was measured using quantitative polymerase chain reaction and protein localisation of key pathway members (PI3K, AKT1, phosphatase and tensin homologue (PTEN), JAK1, STAT3 and suppressor of cytokine signalling 4 (SOCS4)) was compared in tissue from fetal and adult mare ovaries. Tissue from adult ovaries exhibited significantly increased levels of mRNA expression of PI3K, AKT1, PTEN, JAK1, STAT3 and SOCS4 compared with tissue from fetal ovaries. PI3K, AKT1, JAK1 and STAT3 demonstrated redistributed localisation, from pregranulosa cells in fetal development, to both the oocyte and granulosa cells of follicles in the adult ovary, whilst negative feedback molecules PTEN and SOCS4 were only localised to the granulosa cells in the adult ovary. These findings suggest that the PI3K/AKT and JAK/STAT signalling pathways are utilised during folliculogenesis in the mare, similarly to previously studied mammalian species, and may serve as useful biomarkers for assessment of ovary development in the horse. © 2015, Springer-Verlag Berlin Heidelberg. Tob1 is a member of the BTG/TOB family of proteins with established antiproliferative function. In Danio rerio and Xenopus laevis, the Tob1 gene is expressed from the one-cell stage through to early gastrula stages, followed in later development by discrete expression in many tissues including the notochord and somites. In both mouse and human, Tob1 is expressed in many adult tissues including the testis and ovary; however, the specific cell types are unknown. We examine Tob1 gene expression in mouse in developing germ cells and in sorted male germ cells (gonocytes, spermatogonia, pachytene spermatocytes and round spermatids) by reverse transcription and droplet digital polymerase chain reaction (RT-ddPCR) and in adult ovary and testis by immunofluorescence with anti-Tob1 protein staining. By RT-ddPCR, Tob1 expression was low in developing male germ cells but was highly expressed in round spermatids. In developing female germ cells undergoing entry into meiosis, it increased 10-fold. Tob1 was also highly expressed in round spermatids and in oocytes in all stages of folliculogenesis. Notably, a marker for P-bodies, Dcp-2, was also highly expressed in round spermatids and all oocyte stages examined. The cytoplasmic presence of Tob1 protein in round spermatids and oocytes and the association of Tob1 protein with Dcp2 in both cell types suggest that Tob1 protein plays a role in post-transcriptional mechanisms. © FASEB. Controlled gene regulation during gamete development is vital for maintaining reproductive potential. During the process of gamete development, male germ cells experience extended periods of inactive transcription despite requirements for continued growth and differentiation. Spermatogenesis therefore provides an ideal model to study the effects of posttranscriptional control on gene regulation. During spermatogenesis posttranscriptional regulation is orchestrated by abundantly expressed RNA-binding proteins. One such group of RNA-binding proteins is the Musashi family, previously identified as a critical regulator of testis germ cell development and meiosis in Drosophila and also shown to be vital to sperm development and reproductive potential in the mouse. We focus in depth on the role and function of the vertebrate Musashi ortholog Musashi-1 (MSI1). Through detailed expression studies and utilizing our novel transgenic Msi1 testis-specific overexpression model, we have identified 2 unique RNA-binding targets of MSI1 in spermatogonia,Msi2 and Erh, and have demonstrated a role for MSI1 in translational regulation. We have also provided evidence to suggest that nuclear import protein, IPO5, facilitates the nuclear translocation of MSI1 to the transcriptionally silenced XY chromatin domain in meiotic pachytene spermatocytes, resulting in the release of MSI1 RNA-binding targets. This firmly establishes MSI1 as a master regulator of posttranscriptional control during early spermatogenesis and highlights the significance of the subcellular localization of RNA binding proteins in relation to their function. Female reproductive potential is dictated by the size of the primordial follicle pool and the correct regulation of oocyte maturation and activation-events essential for production of viable offspring. Although a substantial body of work underpins our understanding of these processes, the molecular mechanisms of follicular and oocyte development are not fully understood. This review summarizes recent findings which have improved our conception of how folliculogenesis and oocyte competence are regulated, and discusses their implications for assisted reproductive techniques. We highlight evidence provided by genetically modified mouse models and in vitro studies which have refined our understanding of Pi3k/Akt and mTOR signalling in the oocyte and have discovered a role for Jak/Stat/Socs signalling in granulosa cells during primordial follicle activation. We also appraise a novel role for the metal ion zinc in the regulation of meiosis I and meiosis II progression through early meiosis inhibitor (Emi2) and Mos-Mapk signalling, and examine studies which expand our understanding of intracellular calcium signalling and extrinsic Plc¿ in stimulating oocyte activation. © The Author 2012. Published by Oxford University Press on behalf of the European Society of Human Reproduction and Embryology. All rights reserved. UON is delighted to announce the following successful researchers in the latest round of NHMRC funding.